It seems like forever ago since I went to Paris. I constantly dream of being there and you can bet I already have a list of everything I want to see when I go back. Some people think Paris is a cliché but boy, are they wrong. It's quite the magical place in my opinion: streets are housed with hidden cafes and boutiques, the cuisine is delicious, and it's home to the most beautiful art. In the four days we were there we packed in as much as our schedule (but mostly our feet) would allow. If you're new to the city it can certainly be overwhelming but I have outlined our itinerary for each day - a great start if you don't know where to begin! 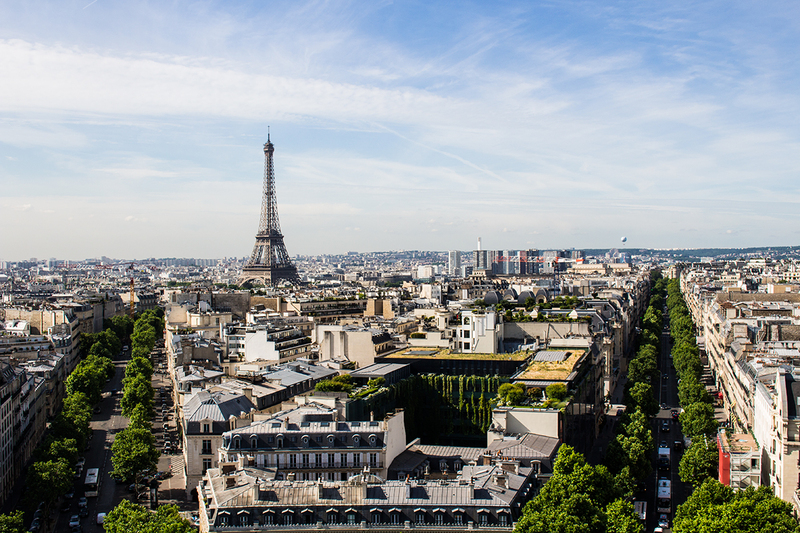 If your on a budget, staying in Paris can be expensive, finding a budget friendly place to stay is key! We stayed at the Arty Hotel & Hostel, located in the Brancion (a very familiar tram stop) neighborhood. It was a short walk to the metro, there were great local cafes that lined every street corner, and my favorite grocery was two blocks away (where we stopped frequently for baguettes!). - It was incredibly inexpensive. Only a couple hundred US dollars for us to stay there. - They served fresh baguettes every morning along with café au lait and orange juice. - They had wifi, although not the easiest to use but it was at least wifi! - The staff was incredibly kind and helpful, we all exchanged hugs when we left because we had grown so close to them. - No AC, I would recommend going in the spring or fall! - Is close but still far from all the tourist hot spots. I would have loved to be near everything we were wanting to see. It was at least a 15 minute tram ride to the nearest tourist attraction, but, I would definitely say well worth it for the price! - The bathrooms are small. I should clarify - all of our bathrooms in Europe were small! Don't expect to get ready in one. 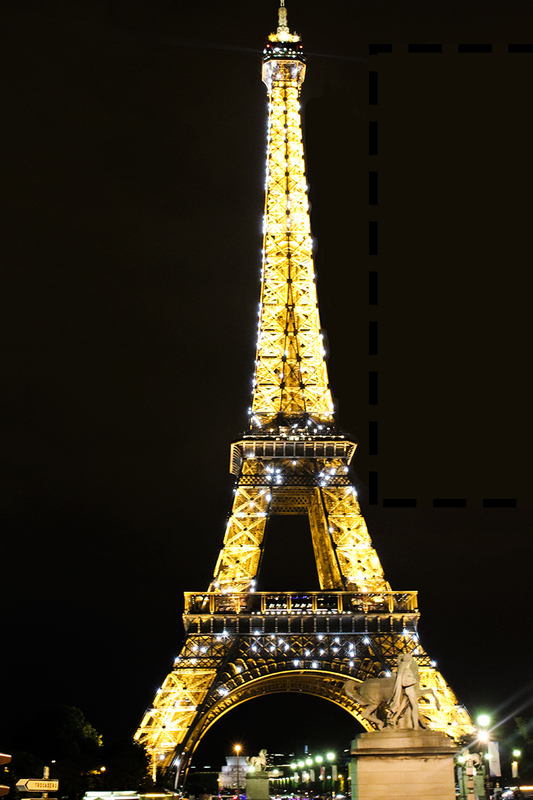 Eiffel Tower: This is obviously a must and was the top sight to see on my list. I was adamant that we get up really early to start our day and I'm so glad we did! Since it was early June, the sun rose early - we were able to be out and about with no other tourists and it was amazing! My advice, take some actual time to walk around the Eiffel Tower - stray away from the common areas and find the places that most people don't go! 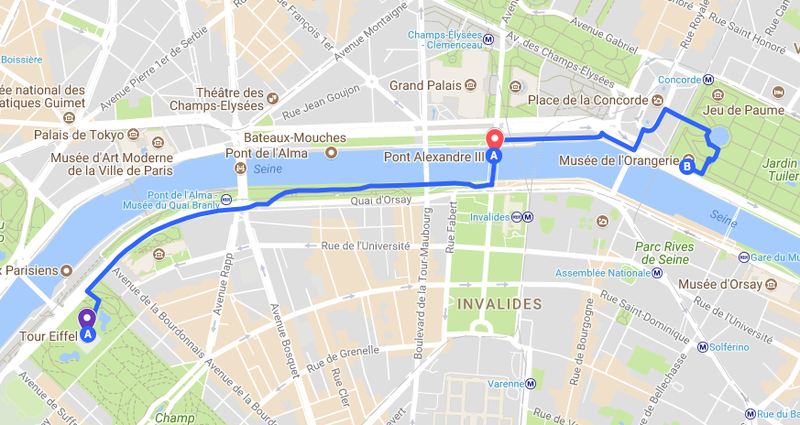 Alexander III Bridge: After the Eiffel, it was about a 20 minute walk to the Port Alexandre III bridge and the Mussee de l'Orangerie. 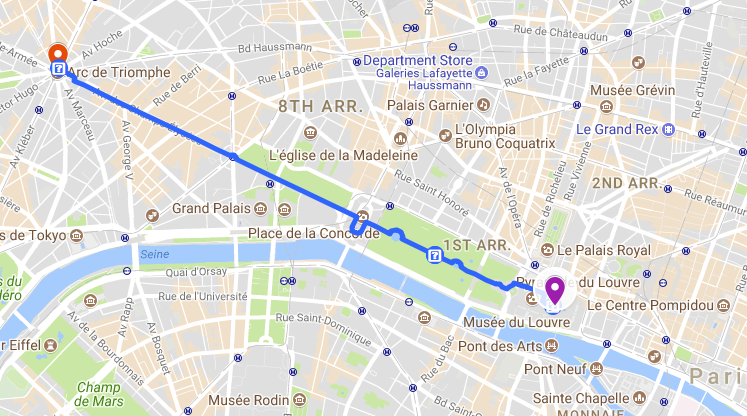 This part of Paris is absolutely breathtaking, definitely walk if you can so you can see what you would normally miss if you took the metro. Mussee de l'Orangerie: Located in the Tuilleries Gardens, this museum houses some spectacular Monet's. If you love art I would definitely recommend this museum, it's worth it. You can then head to the gardens to have lunch a little cafe located in the center. Luxembourg Gardens: Next we headed to Luxembourg Gardens, by now we were just starting to figure out the metro so it's a pretty easy jaunt. I love gardens - no two look the same in my opinion. The landscape, structures, flowers, and people all create the most marvelous scene that you only see in movies. This is worth the visit - and the ice cream! 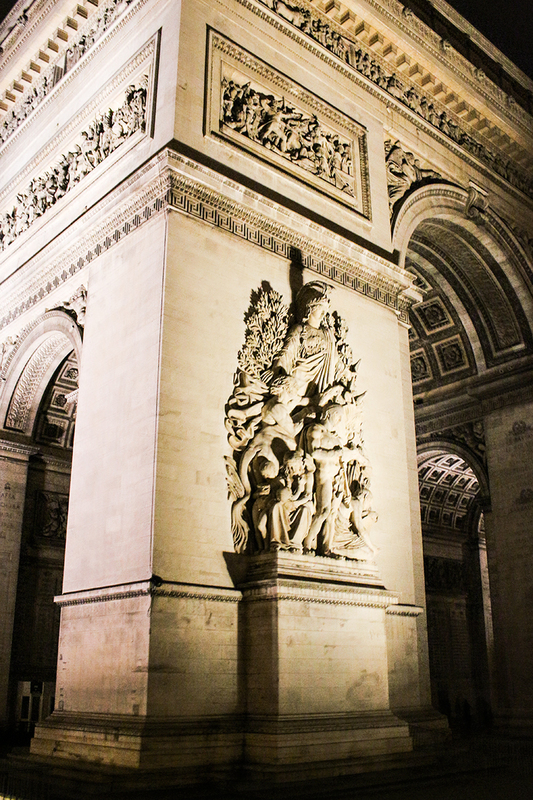 Night City Bus Tour: We did two tours in Paris, one by boat, and the other by bus. I recommend both. I couldn't shake the feeling of "wanting to see everything" when we were there. 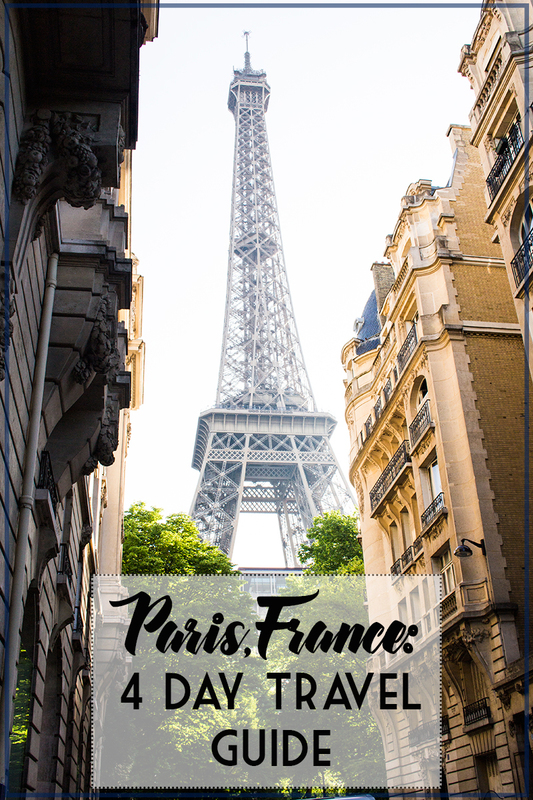 While I know it's a virtually impossible feat, these tours definitely helped showcase Paris' finest. The night bus tour was spectacular - Paris is incredible in the evening with eh Eiffel Tower being the star of the show. Always look for coupons for these tours, we found ours in a brochure at the hotel. Day two in Paris we decided to really get lost. 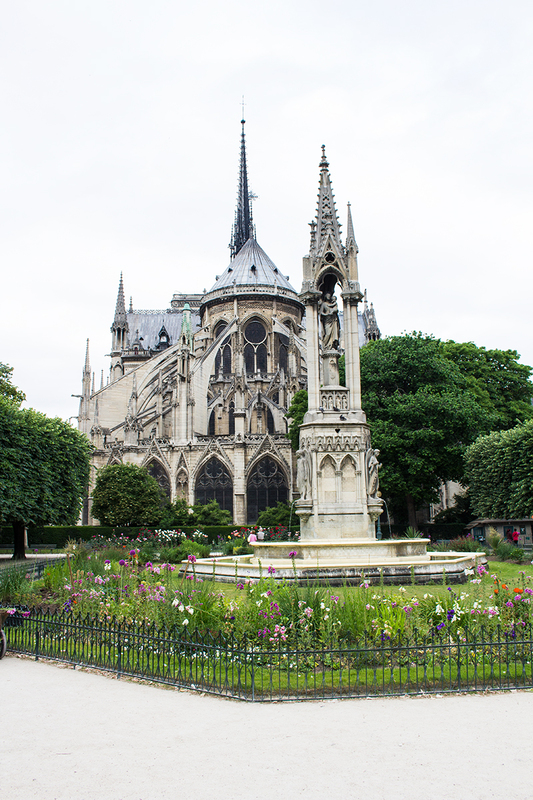 There was one main attraction, Notre Dame, we wanted to see in the morning and the rest were different parts of Paris. We took the metro from Arty to Notre Dame and walked around the area for the morning before moving on to Montmartre for a late lunch and more exploring. Notre Dame: Don't forget to go inside and see the Rose Window. This church is simply majestic, definitely bucket list worthy! Latin Quarter: The Latin Quarter is situated right next to Notre Dame. This, was one of my sister and I's favorite places. There were hundreds of restaurants and boutiques, homes and cafés colored with vibrant flowers and window panes. We wandered through this part all morning after Notre Dame before settling in to a small shop to eat a crepe and enjoy a café au lait on the second floor. The Latin Quarter had an amazing outdoor market with fresh flowers, vegetables, fish, homemade goods and artwork. It was almost as if it was a small village minding it's own amidst such a large city. 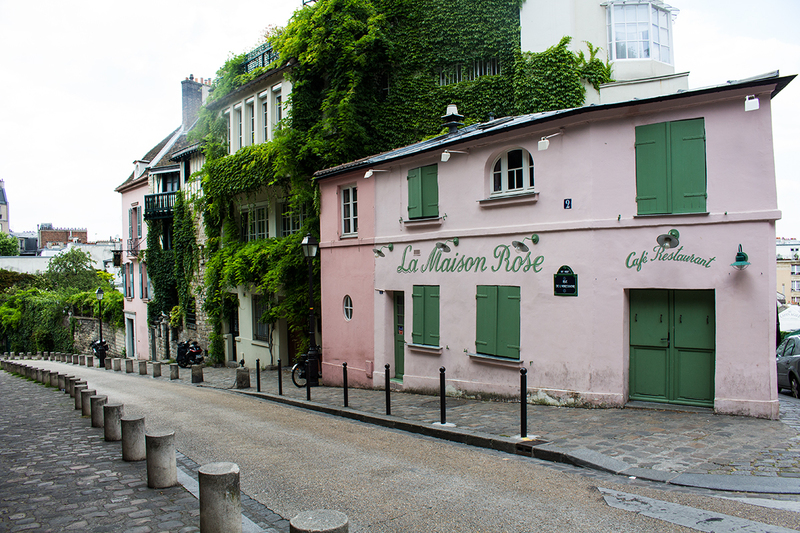 Montmartre: After awhile, our feet needed some rest so we took a tram to Montmartre - the artsy community of Paris. I fell in love. Never have I ever loved a place so much as I did this. The streets were covered with eccentric boutiques and restaurants and large trees shaded the small streets. The staircases to the top of Montmartre were all colored with sidewalk chalk; rainbows, quotes, and flowers was all you would see. People would sell fresh flowers on every corner while kids played at school right next to the colorful staircases. It was amazing, not to mention the buildings were all sorts of colors - pinks, greens, blues, purples. It was simply stunning - and used to be home of Van Gogh, it's no wonder I loved it so much! You can choose to either take a lift to the top of the mountain or walk hundreds and hundreds of stairs. We chose the latter but I feel like you would have missed all the uniqueness that Montmartre has to offer. Boat Tour On The Seine: To end day two, we decided to rest our feet and enjoy a boat tour on the Seine. If you are going to take a tour, this is definitely the one to do. We stopped at a local grocery store and bought cheese, nuts, baguettes (only .40 cents USD dollars! ), and a $3.00 bottle of wine and headed for the boat. It was so calm and something I would do too often if I lived there! Don't forget to check for coupons for this too - you can find them in brochures at your hotel or at the local tourist office! Arc de Triomphe: Of all the monuments and tourist attractions, the Arc de Triomphe was my favorite. We got up really early and made it there 10 minutes before it was opening. Being about 1 of 7 people on top made it so incredibly worth it. We were able to wander on top taking photos from every angle without any distraction. I loved the history behind such an intricate monument - how it honors those who fought and died in the French Revolutionary War. My recommendation is to go early, and purchase tickets ahead of time! Hint: Also wear good walking shoes because there are a lot of stairs to climb! Don't forget to check out the mini museum inside. Champs - Élysées: After the Arc we wandered down the Champs - Élysées. We stopped for a cafe au lait and mostly people watched. This is a hotspot for tourists and was pretty busy with locals so we wandered until we couldn't anymore then found the metro to take to the Tuileries. Jardin Des Tuileries: More gardens, go figure - these don't disappoint. We stopped for a baguette sandwich before then ate in the gardens before working our way to the Louvre. The Louvre: A very expansive museum with a lot to look at. I would be specific with things you want to see rather than try to see it all. We had a couple of places we wanted to wander - this took up most of our afternoon until the section we were in was evacuated (we figured someone's flag crossed the line when trying to catch a glimpse of Mona)! We were too tired to go back in but we saw Mona and other famous pieces so that was plenty for us. Tip: By tickets ahead of time online. You can use other sites but you might have to pick up the tickets at a different location - I would go through the Louvre website! Pick your favorite and go back if you have time! 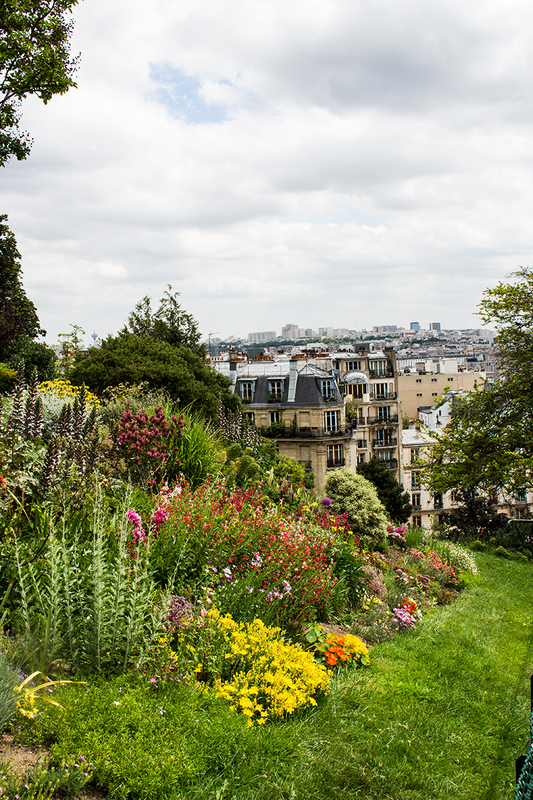 We went back to Montmartre, I just needed to soak it in one last time before we left. 1. Arthur & Juliette (Near Arty) - A quaint little cafe to enjoy French cuisine. I enjoyed pasta, my aunt ordered some French stir-fry while my sister ate chips and guac. Quite the assortment but it was all so incredibly delicious. I will definitely be going back to this place! 2. Les Cent Kilos (Near Arty) - This was another small local place by our hotel. We stayed in an area where tourists were not as common so we got to enjoy very authentic French food. This place has wonderful frittes! 3. Les Tontons (Near Arty) - I had a burger at Les Tontons, it was great - just make sure to brush up on your French and understand how to tell them how you like it cooked! 3. Aux Fontaines De Chocolat (Latin Quarter) - Tiny little two story cafe with savory and sweet crepes and desserts! 4. La Bohémienne (Montmartre) - The best pizza ever. Hands down. There was an egg in the center of the pizza, who would've thought?! 5. Café Diane (Tuileries Gardens) - GREAT baguette sandwiches (although on the pricey side), get it to go and it will be much cheaper! 6. Do it Yourself! To save money and maximize our budget in Paris we stopped at the local grocery store often. It was so incredibly cheap to buy food, and good food, that it didn't make sense sometimes to eat out. One night, we bought food for dinner and it was $8.00 USD dollars. For both my sister and I!! Don't forget to share your travel tips and must-see's below! We covered a lot of ground on this trip and I still feel like there is so much more to see. This is a great Travel Guide for beginners however and covers all the most popular sights to see!